Welcome to the Waco High Class Of 1971 website. Our Website is now Mobile Phone Friendly! If you are one of the six in ten classmates that visit our WHS71 site from a mobile phone or tablet, you are going to find the new 'Responsive Design' switch makes your website browsing a lot easier - less clutter so bigger text. Just like when you browse the major news and social websites, as your screen gets narrower, the website responds and substitutes menu icons for menu lists, as well as making the content narrower and longer, so you scroll down more as screen width decreases. And if you are still on a big wide computer monitor at home and use the 'Zoom' feature of your web browser, you will appreciate that the website now adjusts to the width of the screen, just like on a mobile phone, so text is easier to read and images are easier to view. Because the website appearance is 'responsive', what appears and where it appears responds to the size of your screen, which varies from large computer monitors to small laptop monitors to iPads to Android tablets to all sizes of mobile phones. The most noticable change is navigation - icons replace menu lists as the screen narrows. The first 'envelope' icon is the previous menu item 'Message Center'. The second 'bell' icon is for 'Alerts' that are updates for classmates and activities that you are following. The third 'person' login/logout icon replaces the previous group of menu items that appeared once you logged in. Classmates, feel free to meander around our website on whatever screen size you choose! So you can look back at a small slice of your lifetime - just three years - and remember what you were like back then. If you can relive those memories during your visit here, then this site has served its purpose. So get ready to be transported back to 1971. But how do you do this trans... ...portation? Click on Classmate Community, then select your name to join your classmate community and enter any information you would like to about yourself. Even if you never quite made it to graduation June 1971, or moved away and/or finished at another school, or graduated a little before or after 1971 from WHS, you are all welcome here! Just contact us and request that we add your name so you can join us. Once you have joined our class community, you can view your classmates' senior portraits, stories, profiles, videos and pictures. And you can add comments about them at their profile pages. Your Contact Info remains private, unless you choose to display parts of it to classmates in your profile. Your Profile contains your anecdotes and stories that you choose to share with your classmates. You can add photos with captions to your profile at Edit/Upload Photos. You can send and receive private messages from classmates at the Message Center. The Tiger Den is kind of like the smoking room in the basement of the old Waco High School building, but without the smoke. Once you enter the Tiger Den, you can browse classmates' comments, reply to classmates' questions or posts, growl a little - grrrr..., or even start your own topic or discussion. And, unlike a simple message list, you can be notified when anyone posts to a particular discussion that you are interested in. You don't have to climb into the attic and go through the dusty cardboard boxes, just to find out someone misplaced your Daisy Chain and all those yellowed copies of the Wacoan newspaper in the last move. And how about those pictures from our senior daze? Just stay right in your chair and flip through the Waco High School Photo Albums. They cover a variety of topics, such as the Waco High School Class of 1971 Senior Recognition Day, Commencement Program, Tiger Trot to the new campus, Senior Wills from the Wacoan, and senior portraits from the Daisy Chain. 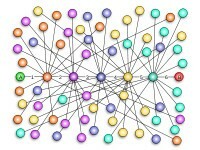 Locate missing classmates - We have a classmate web of about 230 classmates from 1971, all intertwined with old friends, current friends, friends of friends, siblings, neighbors, work associates, in-laws - the connections are infinite. Chance are, you can help locate a classmate or two. Identify deceased classmates - remember hearing about someone that passed away, or have an obituary tucked away that your parents sent you? Contribute content - such as text, images and video - to this website.